Bring the cream to the boil. Remove from the heat and add instant coffee, xylitol and chocolate. Stir well and let it cool down. Add soft butter and mix well. Line small baking tray or container with cling film and pour the mixture in it. Place in the fridge for about 2 hours. 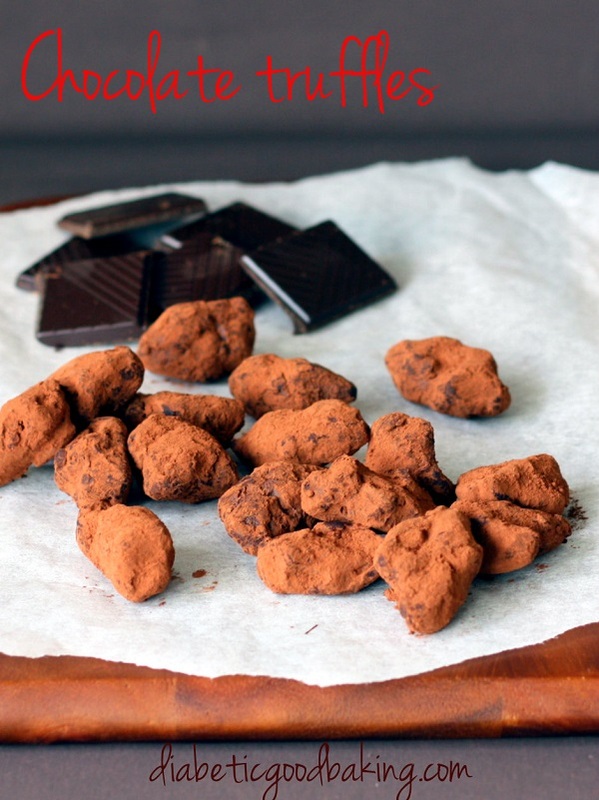 Divide the mixture into equal squares and form irregular truffles. Dust with cocoa powder.